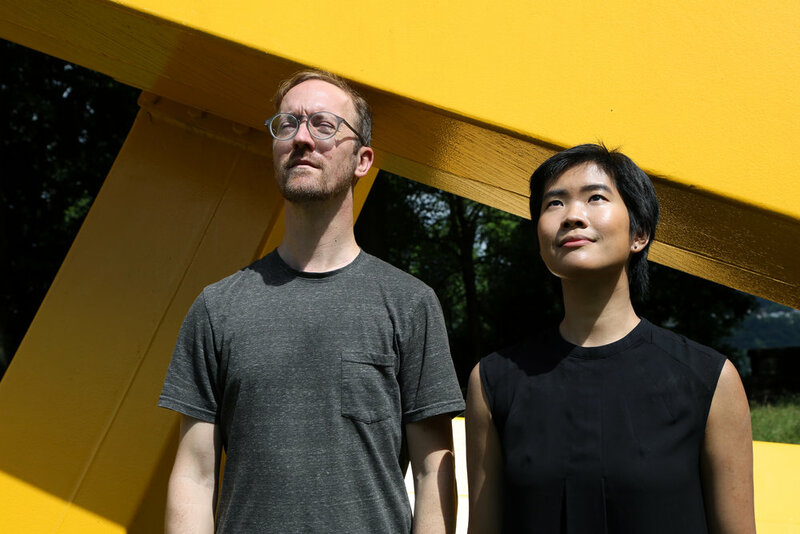 Kuo / Bernabo is a duo of multi-instrumentalists Susan Kuo and David Bernabo, who integrate sound and movement in their live performances. As a duo, they have released four albums of improvised music, juxtaposing unexpected sonic palettes including mbira with bowed guitar and prepared harpsichord with electric organ. Kuo also melds sounds both acoustic and electronic through ongoing collaborations with producer Danielle Rager in the duo Diaphony (forthcoming album: MIRЯORЯIM) and with composer Brian Riordan in the duo ARBORANCE as heard on the album Canon’s Crossbow, and performs with the Pittsburgh Symphony as an alto/tenor in the Mendelssohn Choir of Pittsburgh. Bernabo is a documentary filmmaker and artist, regularly performing with the bands Host Skull and How Things Are Made, and as part of the dance ensemble Maree ReMalia | merrygogo. Check the discography page for a complete list of solo work.